Bruce rehearsed The Chantays' "Pipeline" with the E Street Band at The "Telegraph Hill Studios" . The band used to practice songs around the time The River was being cut in studio. Among these song was pipeline. The song was played just as a band warm-up exercise. A significant amount of The River sessions audio that has surfaced unofficially comes from these Telegraph Hill sessions. This band rehearsal of Pipeline can be found on The Lost Masters Vol. 11 (Labour Of Love) bootleg. The song is incorrectly listed as Johnny Smith's "Walk, don't run" (later covered and made famous by The Ventures) on this bootleg. Pipeline was also performed off-tour at Tom Petty's House in San Fernando Valley, CA, during a gig with many of the guests at the party, including various Heartbreakers, Roger McGuinn, and Jeff Lynne. 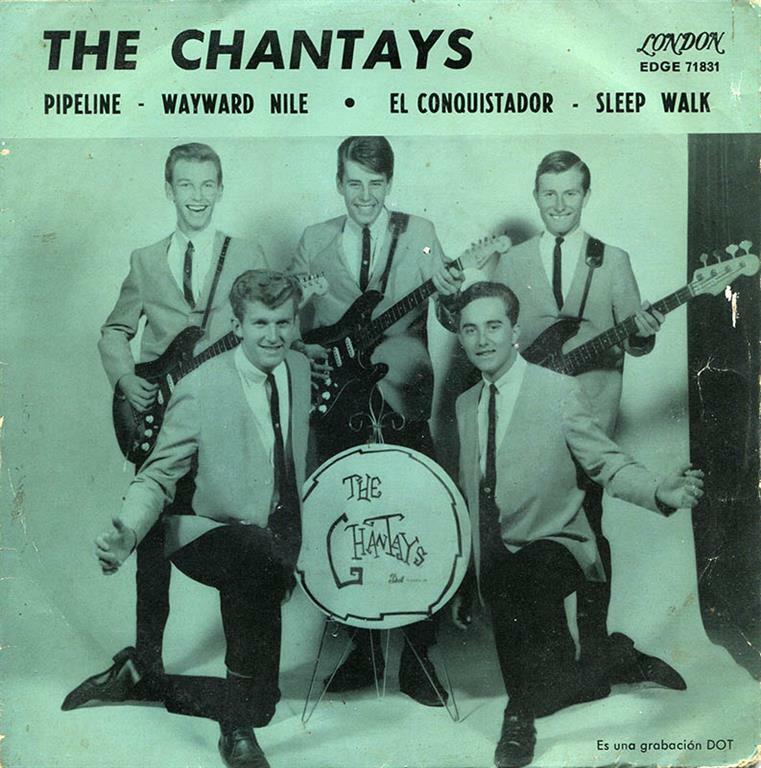 "Pipeline" is an instrumental surf rock song by The Chantays, which was recorded in July 1962. The tune, originally called "Liberty's Whip", was renamed after the band members saw a surfing movie showing scenes of the Banzai Pipeline in Hawaii. It is considered one of the landmarks of the surf genre. The track's distinctive sound was largely due to the mix being "upside down" when compared to standard rock and roll of the era; the bass guitar, electric piano and rhythm guitar were at the forefront, while the lead guitar and drums were less prominent. The surf music craze, which had been largely confined to California during the previous year, finally explodes nationally in the U.S.A. during the summer of 1963, with four huge-selling singles released (and all charting top five or better) in rapid succession: "Pipeline" (May 1963 - The Chantays), "Surfin' U.S.A." (June 1963 - The Beach Boys), "Surf City" (July 1963 - Jan and Dean) and "Wipe Out" (August 1963 - The Surfaris). Springsteen is heavily influenced by these four singles, particularly over the course of the next twelve months.